Mellow and creamy. Le Rustique Le Bon Brie is made in France and has a deliciously creamy texture with a mild yet distinctive taste. 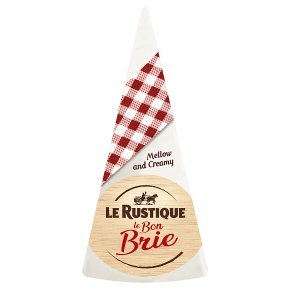 Enjoy your Le Rustique Le Bon Brie at its best by using the resealable pack once opened! Suitable for vegetarians.